When a widower receives notice from a doctor that he doesn’t have long left to live, he is struck by the question of who will care for his adult son—a son whom he fiercely loves, a boy with Down syndrome. With no recourse in mind, and with a desire to see the country on one last trip, the man signs up as a census taker for a mysterious governmental bureau and leaves town with his son. Traveling into the country, through towns named only by ascending letters of the alphabet, the man and his son encounter a wide range of human experience. While some townspeople welcome them into their homes, others who bear the physical brand of past censuses on their ribs are wary of their presence. When they press toward the edges of civilization, the landscape grows wilder, and the towns grow farther apart and more blighted by industrial decay. As they approach “Z,” the man must confront a series of questions: What is the purpose of the census? Is he complicit in its mission? And just how will he learn to say good-bye to his son? 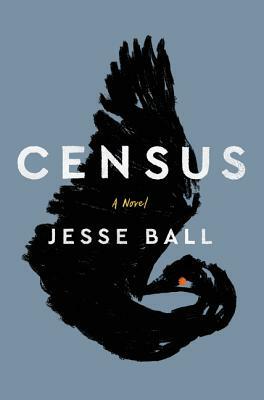 Mysterious and evocative, Census is a novel about free will, grief, the power of memory, and the ferocity of parental love, from one of our most captivating young writers. Jesse Ball was born in New York. He is the author of fifteen books, most recently the novel Census. His works have been published to acclaim in many parts of the world and translated into more than a dozen languages. He is on the faculty at the School of the Art Institute of Chicago, is a winner of the Paris Review’s Plimpton Prize and the Gordon Burn Prize, and was long-listed for the National Book Award. He was named one of Granta’s Best Young American Novelists, and has been a fellow of the NEA, Creative Capital, and the Guggenheim Foundation. “This is a novel about how compassion and love move far beyond familial duty...Ball does an excellent job of revealing his [narrator’s] experience of life’s aches and joys...Ball provides a finish suitably heartbreaking and redeeming...An odd, poignant, vitalizing novel well worth the journey.